In September 1938, after signing away the Czech border regions, known as the Sudetenland, to Germany at the Munich conference, British and French leaders pressured France's ally, Czechoslovakia, to yield to Germany's demand for the incorporation of those regions. 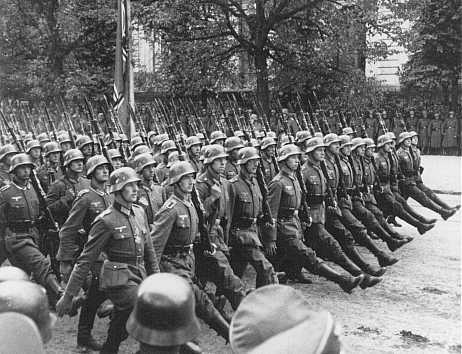 Despite Anglo-French guarantees of the integrity of rump Czechoslovakia, the Germans dismembered the Czechoslovak state in March 1939 in violation of the Munich agreement. 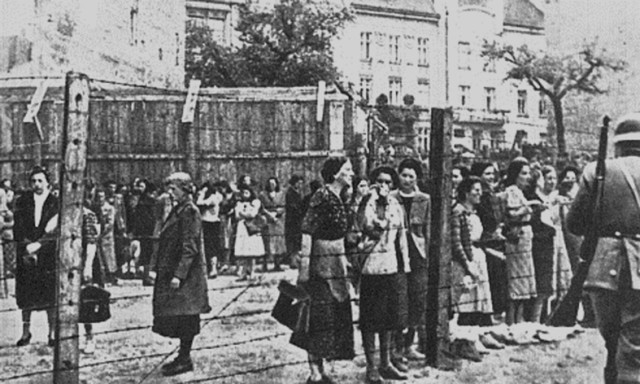 German occupation authorities established the first ghetto in Poland in Piotrków Trybunalski in October 1939. The largest ghetto in Poland was the Warsaw ghetto. In Warsaw, more than 400,000 Jews were crowded into an area of 1.3 square miles. 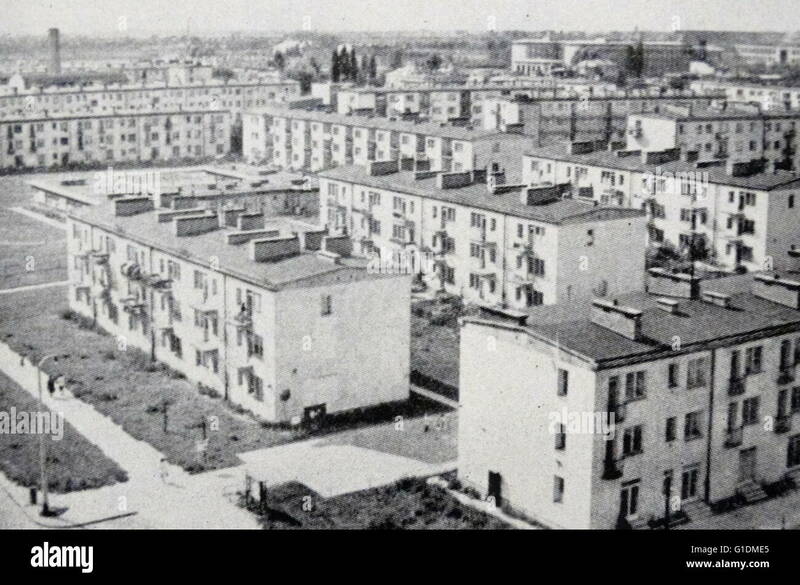 Other major ghettos were established in the cities of Lodz, Krakow, Bialystok, Lvov,Lublin, Vilna, Kovno, Czestochowa, and Minsk. saw a marked expansion in the concentration camp system. In 1938, SS authorities had begun to exploit the labor of concentration camp prisoners for economic profit. In September 1939, the war provided a convenient excuse to ban releases from the camps, thus providing the SS with a readily available labor force. Ghettos were set up to segregate Jews from the rest of the population. They were designed to be temporary; some lasted only a few days or weeks, others for several years. The vast majority of ghetto inhabitants died from disease or starvation, were shot, or were deported to killing centers. After Germany's annexation of Austria in March 1939, the Nazis arrested German and Austrian Jews and imprisoned them in the Dachau, Buchenwald, and Sachsenhausen concentration camps, all located in Germany. After the violent Kristallnacht ("Night of Broken Glass") pogroms in November 1938, the Nazis conducted mass arrests of adult male Jews and incarcerated them in camps for brief periods. Less than a week later, German officials ordered the establishment of a Jewish council (Judenrat) under the leadership of a Jewish engineer named Adam Czerniaków. This was apart of the Nazis "final solution". the German RSHA official who would later organize the deportation of so many of Europe's Jewish communities to ghettos and killing centers, coordinated the transfer of some 3,500 Jews from Moravia in the former Czechoslovakia, Although problems with the deportation effort and a change in German policy put an end to these deportations, Eichmann's superiors in the RSHA were sufficiently satisfied with his initiative to ensure that he would play a role in future deportation proceedings. Germany directly annexed those former Polish territories along German's eastern border: West Prussia, Poznan, Upper Silesia, and the former Free City of Danzig. The remainder of German-occupied Poland was organized as the so-called General government under a civilian governor general, the Nazi party lawyer Hans Frank. Germany began its assault on western Europe by invading the Low Countries (Netherlands, Belgium, and Luxembourg), which had taken neutral positions in the war, as well as France. the Germans decreed the establishment of a ghetto in Warsaw. 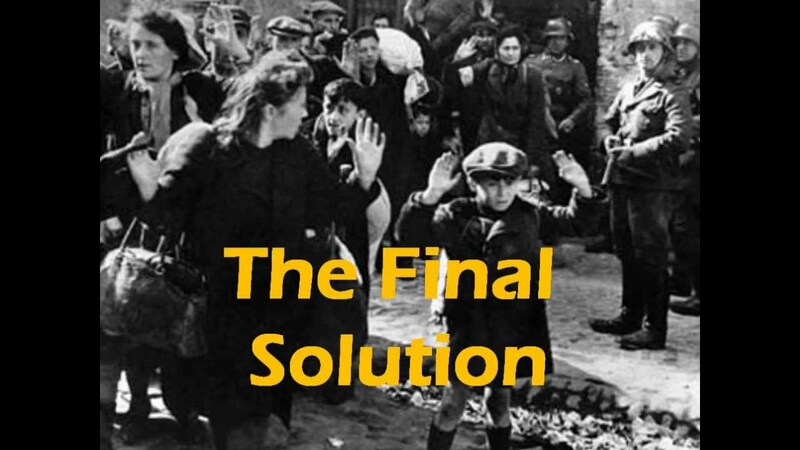 The decree required all Jewish residents of Warsaw to move into a designated area, which German authorities sealed off from the rest of the city in November 1940.
was the code name for the systematic, deliberate, physical annihilation of the European Jews. Hitler authorized this European-wide scheme for mass murder. the Germans and their allies invaded the Soviet Union on June 22, 1941, in direct violation of the German-Soviet Pact. During the summer and autumn of 1941, German troops advanced deep into the Soviet Union, but stiffening Red Army resistance prevented the Germans from capturing the key cities of Leningrad and Moscow. 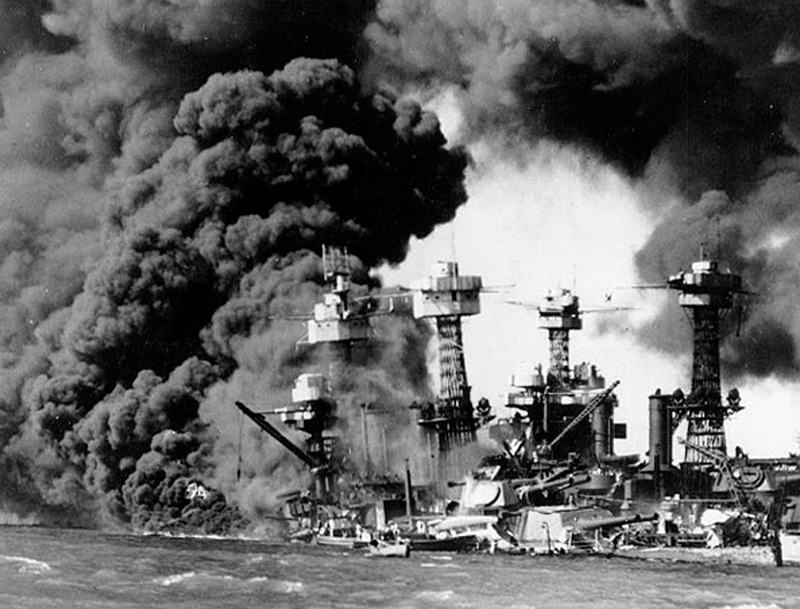 on December 7, 1941, Japan (one of the Axis powers) bombed Pearl Harbor, Hawaii. The United States immediately declared war on Japan. 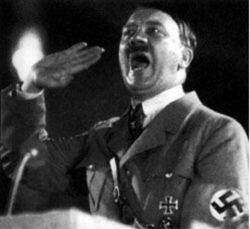 On December 11, Germany and Italy declared war on the United States as the military conflict widened. Trains arrived at Auschwitz-Birkenau frequently with transports of Jews from virtually every country in Europe occupied by or allied to Germany. These transports arrived from early 1942 to the end of summer 1944. SS officials in the Protectorate produced a film using ghetto residents as a demonstration of the benevolent treatment the Jewish “residents” of The residents supposedly enjoyed. 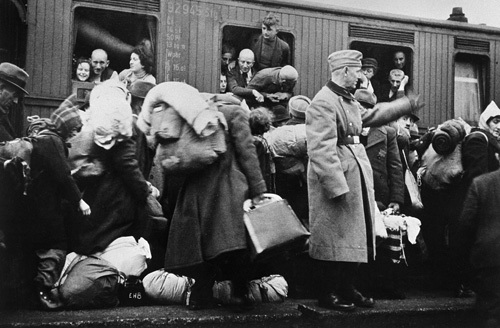 When the film was completed, SS officials deported most of the "cast" to the Auschwitz-Birkenau killing center. In Hungary, ghettoization did not begin until the spring of 1944 after the German invasion and occupation. In less than three months, the Hungarian gendarmerie, coordinating with German deportation experts from the Reich Main Office for Security, concentrated nearly 440,000 Jews from all over Hungary except for the capital city, Budapest.